Description Jumper cables are used to start a vehicle with a dead battery. The jumper cables are attached to the dead battery and a fully charged battery in another vehicle. Once the vehicle with the dead battery is started;drive the vehicle to charge the dead battery. Cold weather resistant. Great for truck and cars. Works with both top and side post terminals. Insulated Clamps. This jumper cable is suited for all Cars Instructions Determine whether you need jumper cables. If you turn the key and your vehicle makes a click;but won't start;you will indeed need jumper cables. If the vehicle makes a starting noise and electrical devices such as your lights and radio work;then the battery is not your problem;thus;jumper cables will not help. Unravel the jumper cables so that they are straight. Note that each end has two clips: a red clip and a black clip. Park the vehicle with the fully charged battery next to the vehicle with the dead battery. It is important that the two batteries are close enough so that the jumper cables can reach. It is best to park the vehicles with the engines either facing each other or side by side. Raise both hoods so the engines are exposed. Attach one of the jumper cable red clips to the positive terminal of the dead battery. A + sign will indicate which terminal is positive. The positive terminal is also a little bit larger than the negative terminal. You may need to remove a plastic cover on the terminal to attach the red clip. The clip should be attached to the metal part of the terminal nub. Attach the other red clip to the positive terminal of the fully charged battery. This will also be designated by a + sign and the positive terminal will be slightly larger. The clip should be attached to the metal part of the terminal nub. Locate the black clip next to the red one you just attached to the fully charged battery. Attach this black clip to the negative terminal of the fully charged battery. This will be indicated by a - sign on the battery. The clip should be attached to the metal part of the terminal nub. Ground the other black clip to the engine block of the car with the dead battery. You do this by clipping it to any piece of metal on the engine. 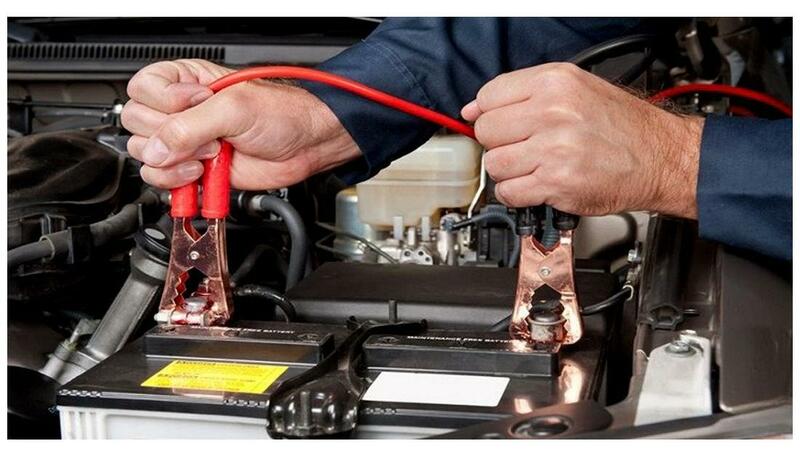 Don't panic if your jumper cables spark a little bit when you do this. If you aren't touching any metal parts;you won't be shocked. Start the vehicle with the dead battery. It should start right up. If it doesn't;check the connections on your jumper cables.NOTE:KIndly buy for your car model only.